The organization and the nature of irrational beliefs: schemas or appraisal? With the exception of pathological cases, all people seem to have at least a rudimentary mind reading capacity. The most important consequence is the capacity to predict the behavior of other individuals in various social settings. People are capable of meta-perception but studies show that self-report measures of mind reading skills are poor predictors of actual mind reading accuracy. The aim of this study was to establish people’s evaluation of their own mind reading abilities, which contribute significantly to their state of well-being. In other words, is it healthy to consider that we can read others’ thoughts, emotions, intentions, and can we anticipate and predict their behavior with great precision? We started from the assumption that these over evaluations belong to the field of positive illusions, along with unrealistically positive views of the self and unrealistic optimism. Thus, they give the one that beholds them the illusion of control, in situations characterized by reduced possibilities of control. Another direction of research question concerned the connection between mind reading beliefs and the level of irrational beliefs of the subjects, the implication of which in emotional distress is well-known. Our results showed that (1) men have the tendency of overestimating their abilities to mind read compared to women; (2) the evaluation of mind reading abilities as being high can function as positive illusions; (3) these beliefs are common among subjects with a high level of irrationality (4) positively biased opinions regarding our own abilities to read the others’ mind and predict their outcomes, contribute significantly to the prediction of mental health. The aim of the present study was to empirically investigate the theoretical matrix on the basis of which the Attitudes and Beliefs Scale 2 (ABS2, DiGiuseppe et al., 1988) was developed. 300 undergraduates volunteered to complete the Romanian version of the ABS2 (ABS2-R, Macavei, 2002). A confirmatory factor analysis was conducted using Lisrel (8,72) framework (Jöreskog & Sörbom, 2004). The factor structure of the ABS2, derived on the three major theoretical criteria (evaluative processes, domains of content, and modality) was compared with the most viable factor structure resulted from a previous exploratory factor analysis (DiGiuseppe at al., 1989). The factor structure model found by DiGiuseppe et al. (1989) was the most plausible, followed by the two-factor structure model derived on modality. Future practical and theoretical implications of these findings are discussed. At present, in the scientific literature concerning negative emotions and distress the unitary model of distress is the dominant model. According to this model, high levels of distress are conceptualized as a high level of negative affect while low levels of distress are conceptualized as a low level of negative affect. The binary model of distress, initially elaborated by Albert Ellis (1994), describes distress as a binary construct, consisting of two distinct components: functional negative emotions and dysfunctional negative emotions. In the present study, using 72 first year undergraduate students as subjects, we tested hypotheses based on the two models of distress: the unitary model and the binary model. The outcome shows qualitative differences between functional negative emotions and dysfunctional negative emotions, gaining support for the binary model of distress. 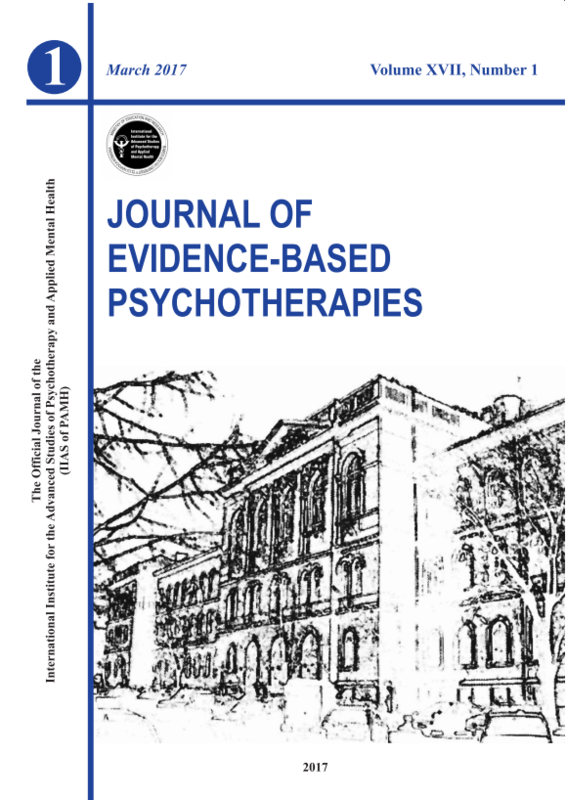 Promising practical implications for psychotherapy are discussed. In the REBT theory of psychopathology major depression is associated with the endorsement of irrational beliefs. The present pilot study aims to extend the investigation of the major assumptions of the theory, by using a measure of IB (ABS2) that has good discriminant validity, allows the discrete evaluation of irrationality, rationality, demandingness, self-downing, frustration tolerance and awfulizing, and has been validated for the Romanian population. Subjects with major depression, subclinical dysphoria and controls were compared with regards to IBs. Results confirm that clinical depression is indeed accompanied by irrationality. Also, some IBs have been found to be associated with subclinical depressive symptoms. Since negative affect has been in the focus of attention for the entire history of psychotherapy, time has now come to turn towards cognitive factors involved in mild disturbances of positive affect. This article focuses on dysfunctional positive emotions and how they relate to evaluative cognitions and arousal. One of the basic assumptions of the rational emotive behaviour therapy (REBT) theory of emotions is that irrational beliefs lead to both positive and negative dysfunctional emotions. To date there is no empirical data investigating dysfunctional positive emotions and their relations to different types of irrational beliefs in healthy individuals. 35 subjects participated in this study. They were asked to recall a positive event in two conditions: a) pre-goal attainment condition, prompted by the instruction of recalling an event when a cue primed the anticipation of goal attainment and b) post-goal attainment condition prompted by the instruction of recalling an event and their reactions after they have met an important goal. After each experimental condition, participants completed questionnaires assessing, pre-goal and post-goal attainment positive emotions, arousal, dysfunctional positive inferences, context inappropriateness of the emotional experience, evaluative cognitions, and the ABS II scale-Romanian version. Results indicate that subjects high on demandingness have higher levels of pre-goal attainment emotions than low demanding subjects when they meet their goals, and possibly a higher level of post-goal positive emotions, when they anticipate attaining a personal goal. Also it seems that state and trait demandingness have different relations with positive emotions. We suggest that dysfunctional positive emotions can be differentiated by the context in which they are experienced, and that there are two types of dysfunctional positive emotions: a) post-goal attainment dysfunctional positive emotions referring to high levels of pre-goal attainment positive emotions after achieving personal goals, and b) pre-goal attainment dysfunctional positive emotions referring to high levels of post-goal attainment positive emotions when anticipating and moving towards goal attainment. Correlation analysis has revealed relations between evaluative cognitions, dysfunctional inferences, arousal, and dysfunctional positive emotions. Implications for positive emotions research and psychotherapy are discussed.